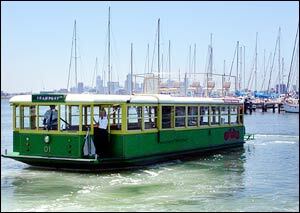 travel along Melbourne’s Yarra and Maribyrnong Rivers to Flemington Racecourse. DEPART City: Riverside of the World Trade Centre city. Your day begins with a glass of Sparkling Wine, to enjoy with delicious canapés followed by petite croissants filled with smoked ham, tasty cheese and semi sundried tomatoes. We arrive in style at our landing that is conveniently located at the entrance gate of the racecourse for you to enjoy your days racing. All Beverages are included on our cruise to Flemington- Sparkling Wine, Red and White Wine, Heavy and Light Beers, Soft Drinks, Orange Juice, Tea and Coffee. On our return journey whilst you assess your days trading, you can soak up the party atmosphere or simply sit back, relax and enjoy an array of gourmet delights such as Vintage cheese’s and crackers and a delicious Mezze platter. Beverages are available to be purchased from our Fully Licensed Bar. Last stop Waterfront City Marina/Exhibition Centre (Casino) at approx 6.30pm. PRICE: Derby and Oak's Day $160 per guest. Cup Day $165 per guest. Company Signage and marketing opportunities available. Melbourne Departure locations and times or other transfer packages can be arranged - please contact us.